Say hello to the world of Karen Walker Eau de Parfum! 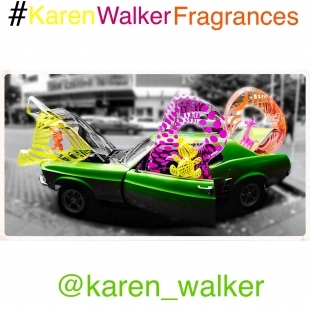 Engage's task was to introduce A, B and C, a trio of fragrances developed by Karen Walker, to a sophisticated urban audience. Appointed by lead agency the Six Senses, Engage NZ staff spritzed the fragrances and provided informed product notes to potential customers. The aim was to let the product's features shine through and shared Karen’s descriptions of the fragrances, which she conceived with Charabot, the world's oldest fragrance house, based in Grasse, France. The teams were based in premium department stores in Auckland, Wellington and Christchurch. The spritzers capitalised on a very successful PR push, fun inflatable giveaways,social media activity, and accompanied personal appearances by Karen that the public couldn't get enough of! As the first fragrance launch Engage NZ has participated in this was an exciting campaign that hit the required targets, both in terms of sales and customer relationship building. 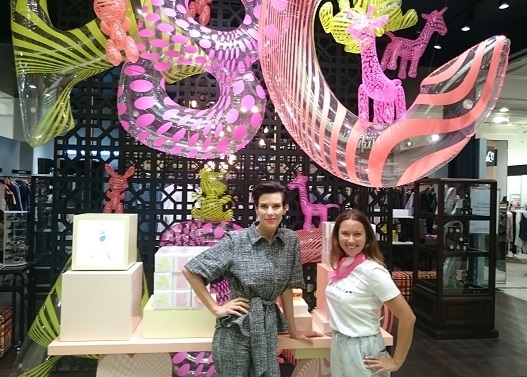 Working with lead agency The Six Senses and Karen Walker was a pleasure we hope and expect to enjoy again in the future!